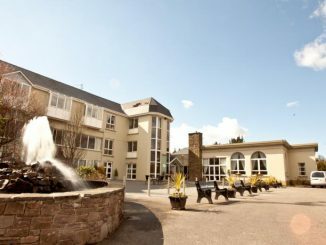 The Rose Hotel Tralee (formerly Fels Point Hotel and previously Carlton Hotel Tralee) is one of the finest four star hotels in Tralee, County Kerry. 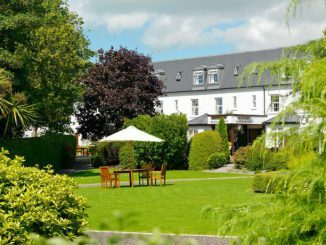 This modern Tralee hotel is very well located on the edge of the town just beside some of Tralee’s best leisure facilities including The Aquadome, Tralee Tennis Club, Tralee Harriers Athletic Club, Tralee Omniplex Cinema and Tralee Wetlands. The hotel is now the centre of most of the activity surrounding the Rose of Tralee contest and is just beside The Dome which is erected during The Rose of Tralee Festival. 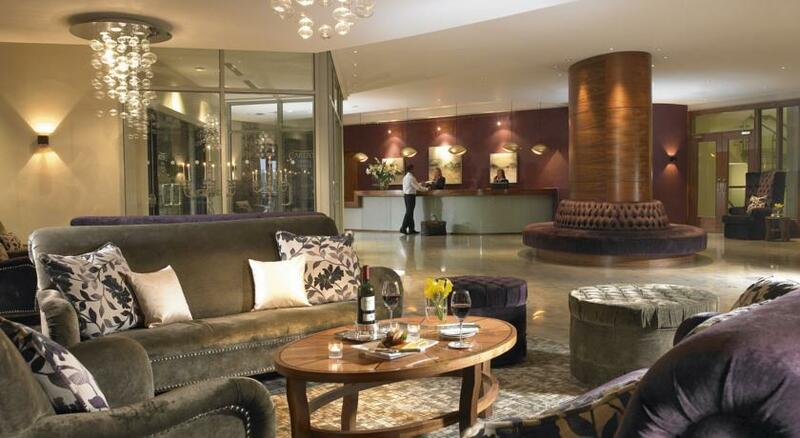 The hotel has a fine spa – Herbs and Roses Spa and a well equipped gym – The Spirit Gym. The hotel has a large car park which is free to guests. 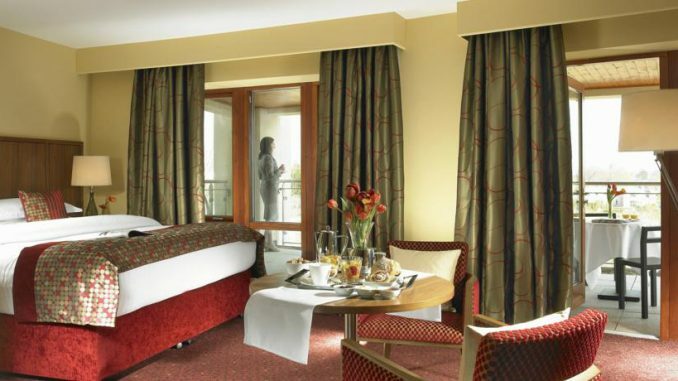 The Rose Hotel Tralee has 165 rooms including single, twin, double and family rooms. 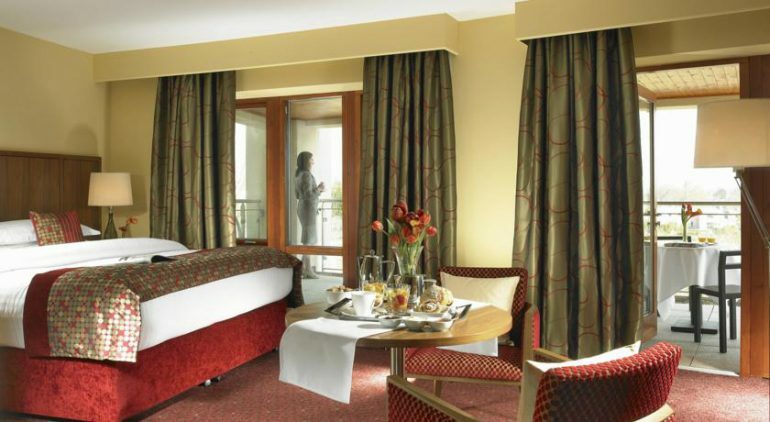 Some of the bedrooms have excellent views of the surrounding countryside and mountains. All the bedrooms are non-smoking and ensuite. 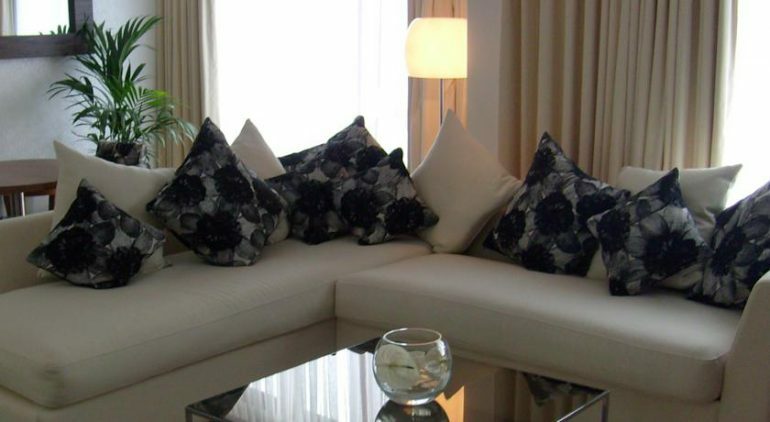 Rooms have high speed complimentary Wi-Fi, LCD TV, and Tea/Coffee making facilities. The ensuite bathrooms feature “The Linen Collection” by designer Paul Costelloe. Since it was originally opened as Fels Point Hotel, this hotel has a reputation for serving great food. The menu at The Park Restaurant is a mix if Irish and Europen with a modern twist and the presentation is very trendy and appetizing. 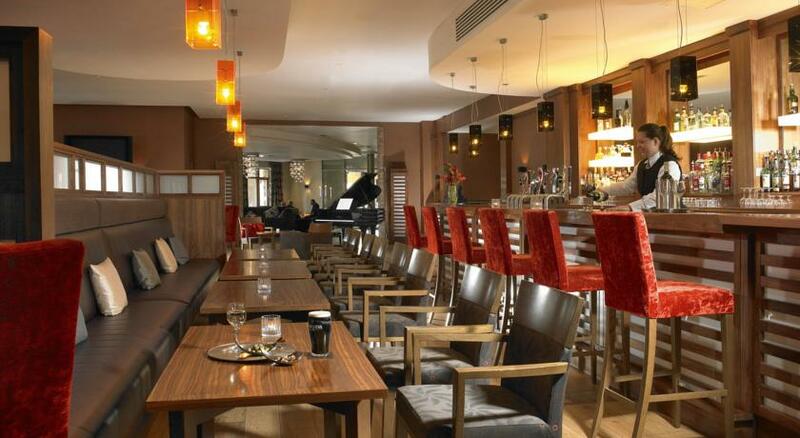 Dott’s Bar offers drinks, teas/coffees, snacks and an extensive modern menu in a more casual atmosphere. 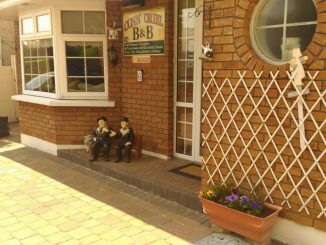 Click on the images for more views of The Rose Hotel Tralee.